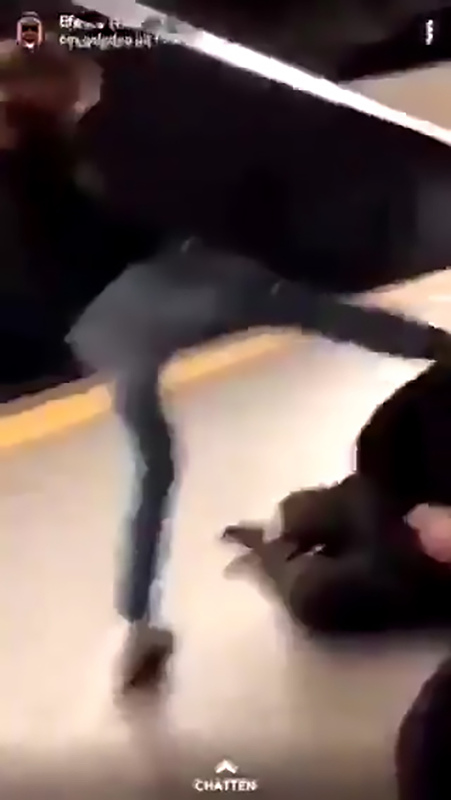 This is the shocking moment a teenage thug kicks a man waiting for the tube in the face twice as his friend films the attack and says “your wallet or your head”. 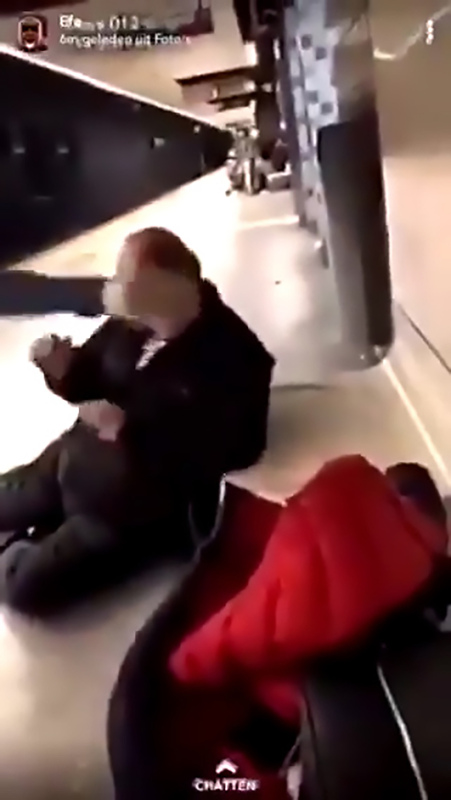 The incident was filmed at an unspecified metro station in Antwerp, a city in the Belgian province of the same name, and posted on social media. 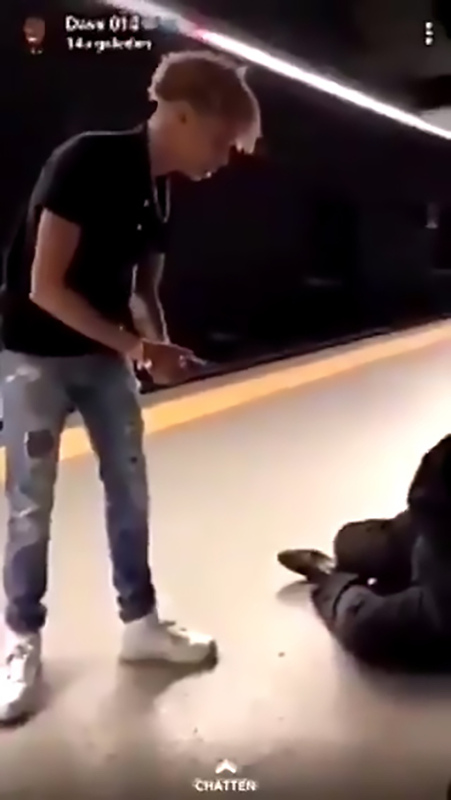 The suspect, identified as 17-year-old Nigerian-Belgian resident Ayo A., can be seen standing in front of the 59-year-old victim as he sits on the platform. The suspect then kicks the heavyset man in the face and he appears stunned by the strong blow. The teen kicks him in the face a second time and the victim’s glasses fly off before he slowly slumps to the ground. 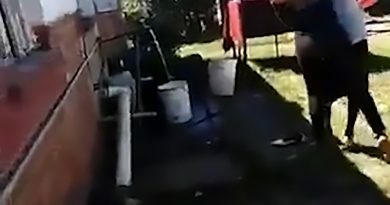 The cameraman is heard saying “knockie”, short for ‘knock out’. 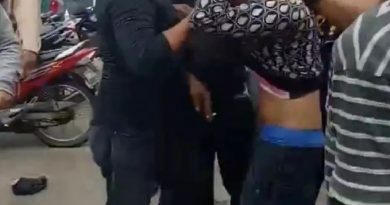 According to local media, the pair uploaded the footage to social media – something which immediately backfired on them. Friends of the perpetrators reportedly sent the video to the authorities and urged them to turn themselves in. The video was also shared by politician Dries Van Langenhove of the far-right Flemish Interest party. During the online commotion, Ayo A. wrote on social media that he planned to turn himself in to the police, but he reportedly decided against it in the end. It is unclear if one of the youth had a knife. The cops knew their identities and arrested them after they had failed to visit the police station as promised. Both suspects are being held in investigative custody, according to reports. Meanwhile, the victim has recovered from the attack and filed a criminal complaint with the authorities. 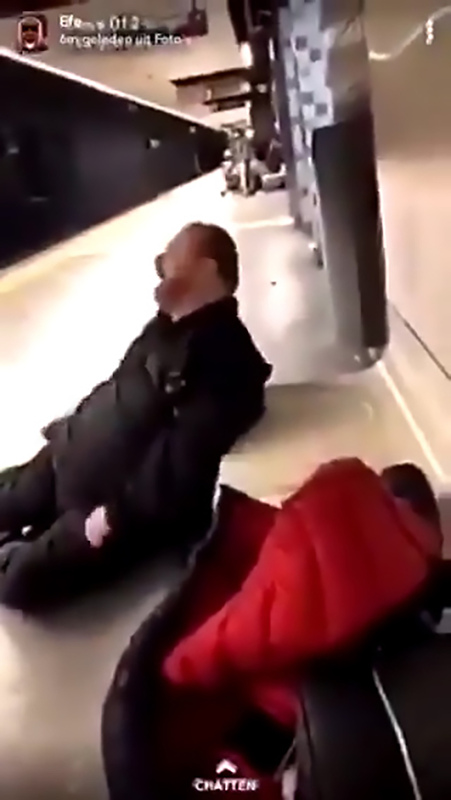 The unnamed man said that he was on his way home after a night out when the two teenagers allegedly pushed him off a chair and stole his mobile phone. 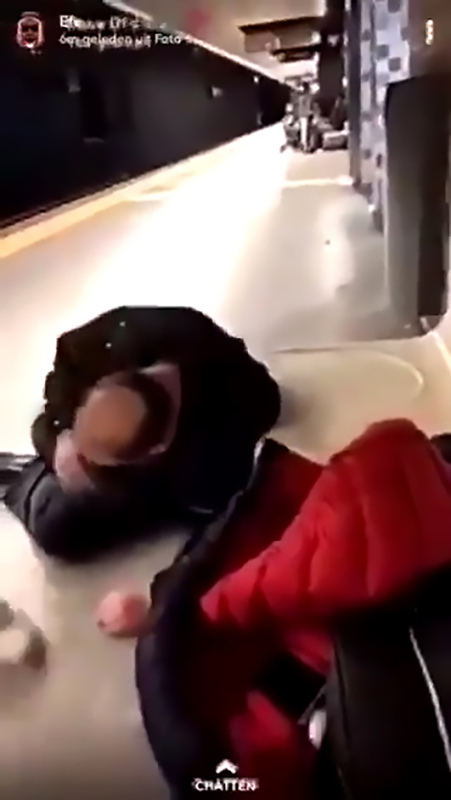 They reportedly demanded his wallet before kicking him in the head. According to the police, Ayo A. has a long criminal record for extortion, vandalism and GBH. Editor of DACHS / Benelux desk for Central European News, roving correspondent with a penchant for travel, culture, geopolitics, history and the in-depth story behind the headlines.